Sony KDL-48W600B is one of the latest budget HDTVs from this manufacturer and I am pretty much sure that this TV is going to turn into a real best seller. 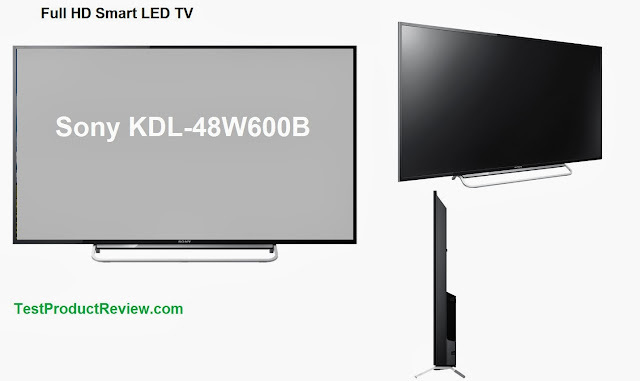 If you take a look at the specs of the KDL-48W600B you will not find any of the cutting edge features that are literarily flooding the TV ads but what you will find is all the basic stuff delivered in a very appealing package and price. And by package I don't mean the box of the TV set but a good set of features that are making this TV a real deal. Well, this is a very long list of features and specifications but now I am sure you have a better idea of what the Sony KDL-48W600B has to offer. If I can summarize into one sentence I would say that this a great big screen TV with very useful Smart TV features and connection options, great Full HD picture and at last but not least important a very appealing price of around $650-700. Two other very interesting TVs in this size and price category are the LG 50LA620S / 50LA620V and the Samsung UN50F5500.